Getting married in Italy is very common among some of today’s hottest celebrities. The world’s most beautiful luxury weddings often take place in Italy, courtesy of celebrity couples such as George Clooney and Amal Alamuddin. With so many romantic wedding venues in Italy it is not surprising that such a heavy hitter like George Clooney would choose to get married there. The couple chose to get married at the Aman Canal Grande resort in Venice, which is located in the Palazzo Papadapoli and is among the top Italian wedding venues. 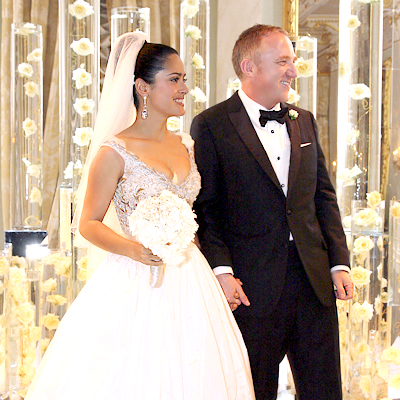 In 2009, Salma Hayek also married her husband, Francois-Henri Pinault, in Venice as well. The ceremony took place at the famous Venice opera house La Fenice. 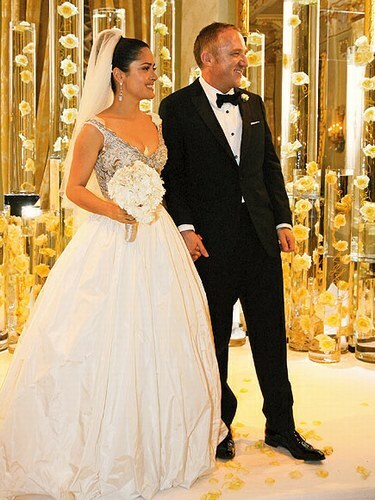 Some of the celebrities that attended the wedding as guests include Penelope Cruz, Woody Harrelson and Edward Norton. Part of the festivities guests took part in was a carnival costume ball held in Punta Della Dogana, a historic site in Venice. Getting married in Italy is nothing new for celebrities. Actress Melissa Joan Hart married her husband in a Florence , Italy wedding ceremony in 2003. 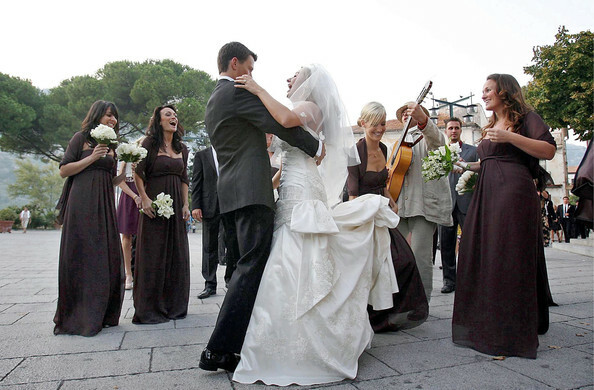 Many destination weddings in Italy take place in Florence due to the beauty of the city. In 2006 Lake Bracciano was the site of Tom Cruise’s Castle wedding in Italy to Katie Holmes. The ceremony itself was held at the Odescalchi Castle. The heiress to the Formula One, Petra Ecclestone, also held her wedding to James Stunt there as well. Actor Neil Patrick Harris and his husband David Burtka also had a castle wedding in Italy that was held in the town of Perugia (Umbria). Also Colin Firth got married in 1997 at Città della Pieve in Umbria. On 2007, Rod Stewart and Penny Lancaster tied the knot in a beautiful villa in Liguria, a historic palazzo overlooking the bay of Santa Margherita Ligure (near Portofino). One year later, the footballer Wayne Rooney and his fiance Coleen McLoughlin choose the same venue for their wedding in Italy. In 2008 Seventh Heaven actress Beverly Mitchell married Michael Cameron in the town of Ravello. One of Mitchell’s bridesmaids was Jessica Biel, who stayed in a Positano villa while in town for the nuptials. 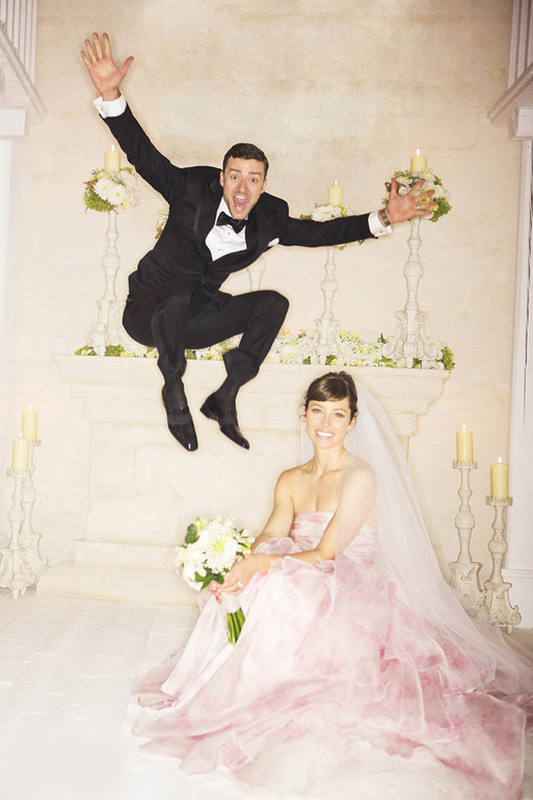 Four years later (on October 2012), the same Jessica Biel married Justin Timberlake in Apulia, a splendid region in the South of Italy. 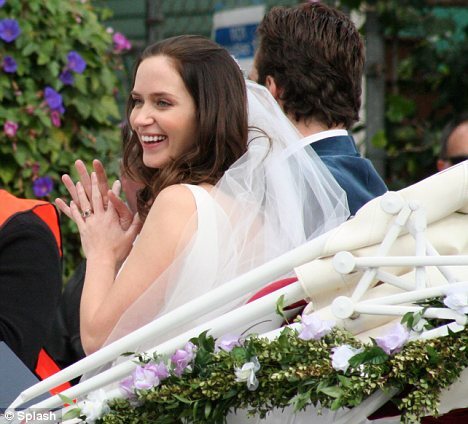 Actress Emily Blunt married actor John Krasinski in an exclusive Lake Como venue (Venue Lake Como 08) in 2010. George Clooney was a guest at this wedding, as he owns a home in Lake Como and his friends with John Krasinski. In 2013 John Legend held his Lake Como wedding to Chrissy Teigen. 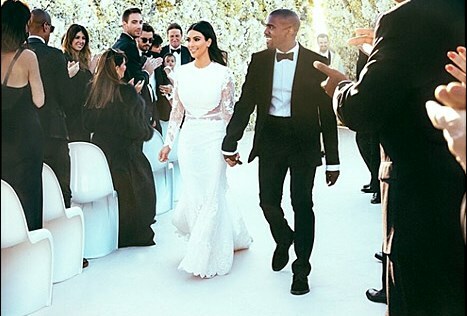 One of the most high profile weddings in Italy was the wedding of Kim Kardashian to Kanye West. The couple was married in Forte di Belvedere, a fortress that has been standing since the 16th century. Prior to the wedding the couple held a party in Versailles for all of their guests. Kim and Kanye reportedly married in the same city where their daughter was conceived. Why some many celebrities choose to get married in Italy? It is very simple: an Italian wedding destination can offer whatever you are looking for, from luxury venues, stunning landscapes and breathtaking views to the excellent cuisine and delicious wines. 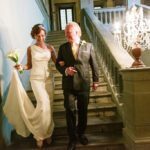 If this is not enough, read 5 good reasons to get married in Italy. For any couple looking to plan an amazing destination wedding, the first step in doing so is to fill out the contact form on the Bellisimo website. 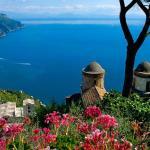 You will get access to experienced wedding planners who can assist you in a stress free destination wedding in Italy.